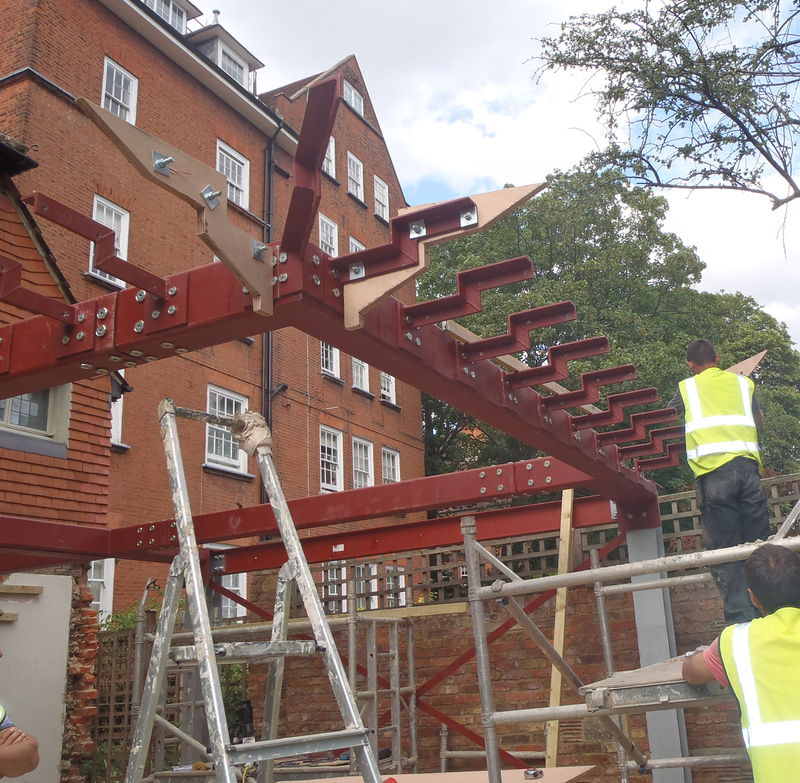 On this project we were invited to push the structure right to the limit, which is a challenge we love at StructureMode. We collaborated closely with Finkernagel Ross on everything from the overall arrangement down to the finest detailing. 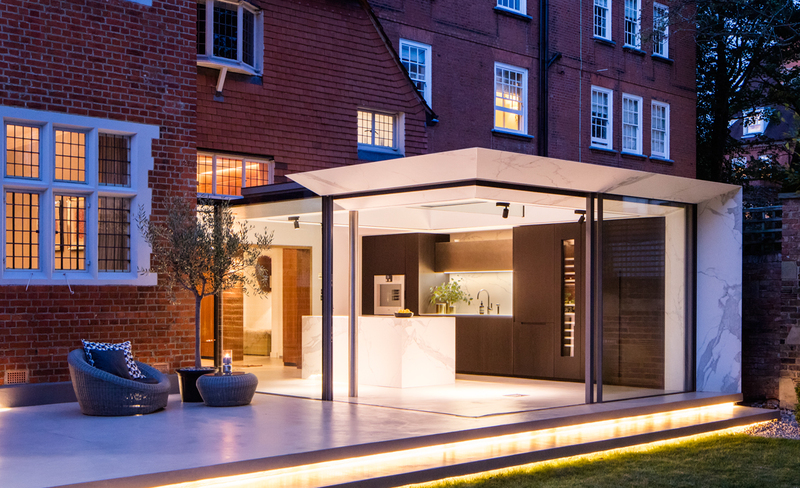 Three sides of the new extension roof are supported by a single exposed stainless steel column and the roof is detached from the existing building, bridged by a strip of glass. 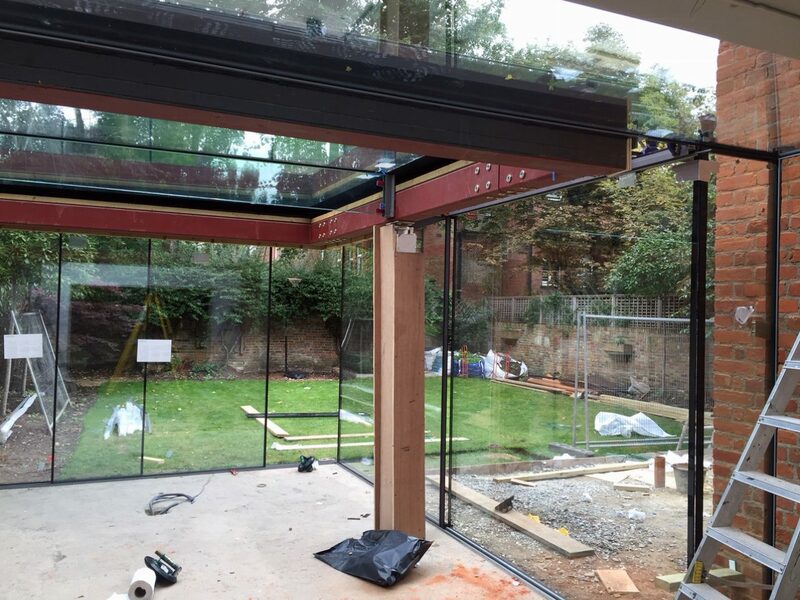 This, combined with the large central glass roof, left only a narrow strip around its perimeter to accommodate the structure and sliding door tracks. The asymmetric arrangement demanded rectangular hollow sections to create a torsionally stiff ring beam. 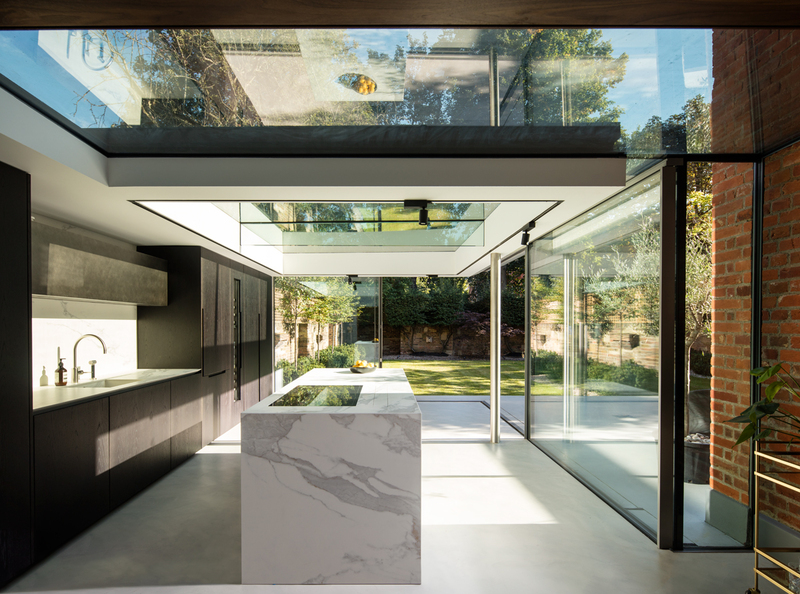 Controlling roof deflection was critical to prevent damage to the ceramic cladding or the sliding doors jamming, especially with the multiple cantilevers. 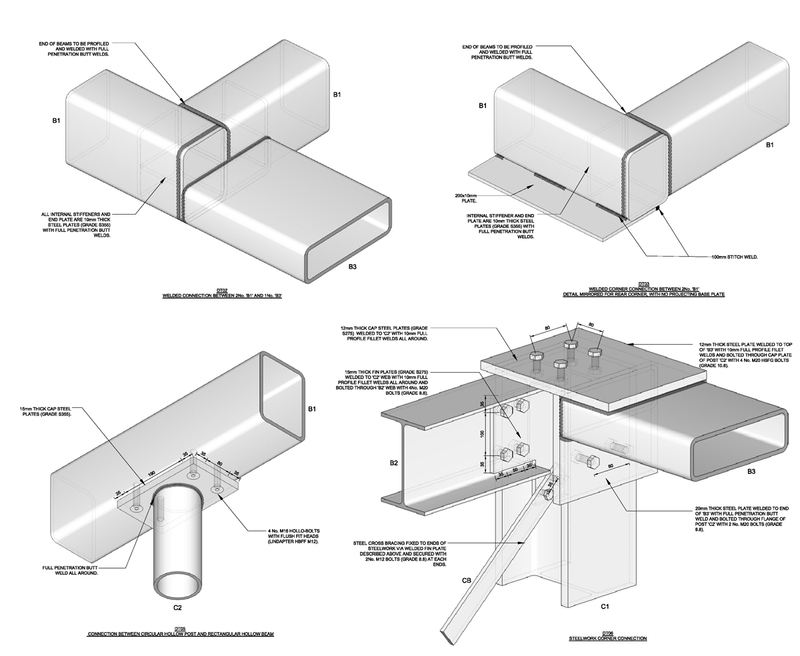 Therefore we located the exposed column at mid-span of the edge beam to create counterbalancing cantilevers that reduced deflections and the required structural depth. 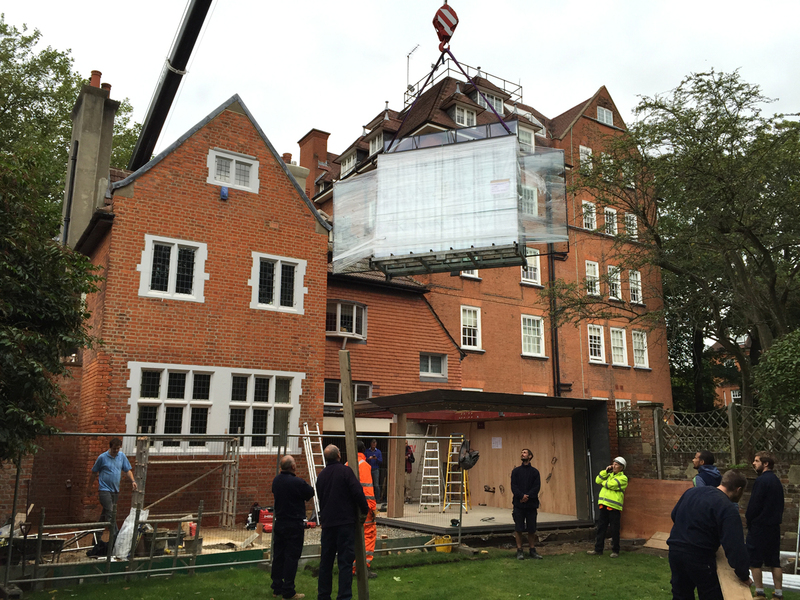 We also carefully considered how the structure would be built. 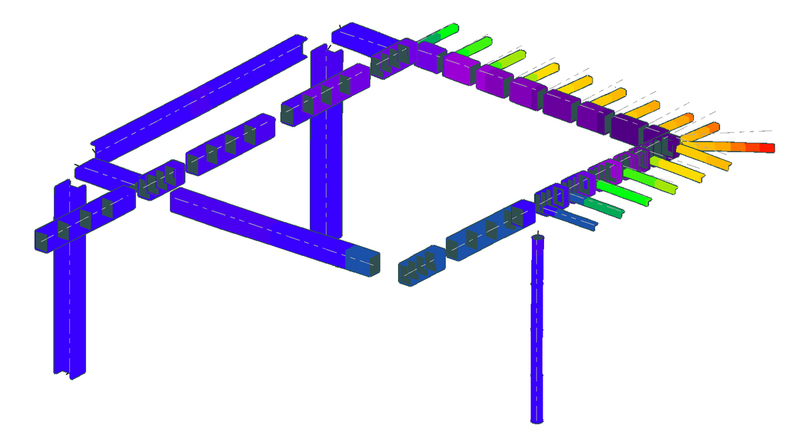 Several steel splice connections were specified at locations of lower stress and we detailed them to avoid an increase in the overall cross section, allowing the whole structure to be bolted together simply on site. 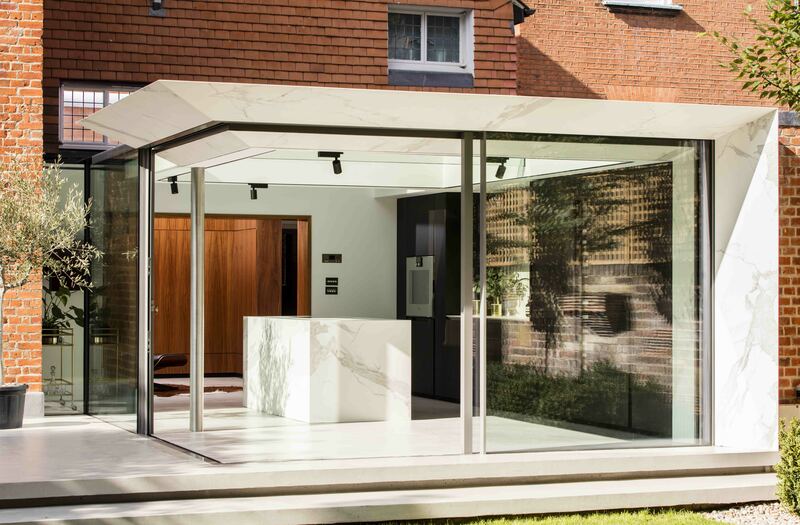 Throughout the process we coordinated meticulously with Finkernagel Ross on the structural detailing to avoid cold bridging and integrate the glass roof, door track, weatherproofing and finishes within the minimum possible depth. This effort might be overlooked when viewing the final result – a measure of its success in our view.